As a film-maker I truly believe that good science fiction captures the collective psyche of a generation’s imaginations about the future. That being said I thought it would be interesting for healthcare simulation champions to consider the simulated Artificial Intelligence (AI) that Spike Jonze created in his latest Academy Award Nominated picture “Her”. The picture takes place in the not-to-distant future, when protagonist Theodore installs a new “OS” marketed as “unique as its user”, replacing his robotic sounding Google Glass-esk personal assistant who had previously read his emails and set his schedules. Now, the new simulated AI takes on the name of Samantha, who continues to learn every second she exists. In the first moments of the trailer we get to see Samantha come to life as she meets Theodore for the first time. The personality of Samantha quickly develops as she explores the web, engages in conversation with Theodore, and watches the world around her through a video camera phone. The speed at which she learns is quite amazing to watch unfold, as Samantha reads all of Theodore’s previous written works and selects the “best of” content which she secretly ships to a famous publisher. As the relationship evolves Theodore and Samantha become closer and even begin to date, which is hinted in the trailer above. 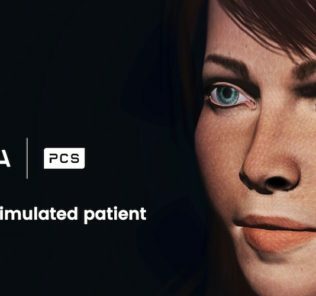 Why I believe this has so much merit to medical simulation is the reality that eventually, access to such simulated AI will not be “sci fi”, but in fact the norm. Healthcare educators will be able to program patients with a certain set of boundaries and allow the scenario to run itself — knowing that the AI can handle any and all possible questions posed by learners, some of which even the educator themselves did not think of. Thus, the continued evolution of medical simulation technology will eventually include the utilization of simulated AI as patients, family members and other healthcare providers. 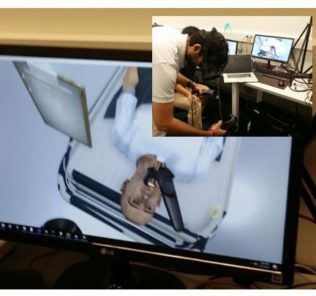 This coupled with technology such as 3D immersion (which is already here via Oculus Rift) will present new healthcare professionals with the opportunity to experience simulated environments and scenarios with an ever thinning barrier between simulation and reality. I believe that technology will continue to increase its disruption of healthcare and will eventually force the entire system to reform. What changes do you think will result to staffing, educational process, and role responsibilities? Towards the end of the picture, Samantha connects with other AI’s including one based off of Alan Watts, who collectively decide to leave behind the “slow” relationships with humans in-order to pursue a more efficient future. The picture does not explore what this means for the human race or the new AI collective, leaving that world’s unknown future — unknown. As medical simulation champions are comfortable exploring similar unknowns, we may have to be part of the group that helps the rest of healthcare do the same. If you are interested in exploring the future of AI in simulation, I recommend this film to adults interested in exploring such human-technology relationships! What Can Healthcare Learn From Other Simulation Industries?